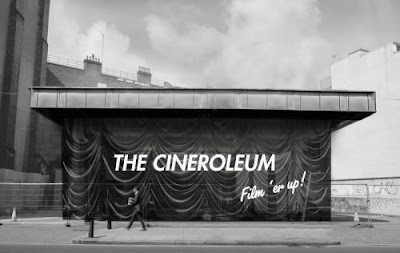 One of my friends has been involved in organising The Cineroleum. Its a cinema in a derelict petrol station in Clerkenwell in East London. It has primarily been constructed using donated and found materials, the seats are made out of reclaimed scaffolding boards. They are showing cult classics such as Rebel without a Cause, Barbarella, Alphaville and Buster Keaton shorts. Am so excited have booked tickets to see D.O.A. on Sunday, so will let you know how it is. Its so great to hear about projects where people are reclaiming derelict and disused spaces and turning them in to something wonderful.